Please contact PATA Japan Chapter Secretariat for further details including application. Click here for details (in Japanese). PATA Japan Chapter "Tourism Seminar & Year-End Party"
￭ Speaker: Mr. Takahiro Kobayashi, Senior Vice President, Regional Planning Dept. Development Bank of Japan Inc.
For application and further details, please contact PATA Japan Chapter Secretariat via info@patajapan.com. 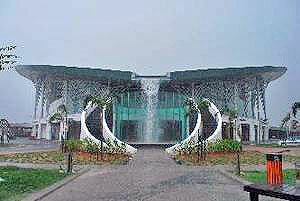 The PATA Annual Meeting 2010 in Kuching features 'Meeting of Minds Tourism Seminar: Strategies, Realities and Charting the Course of Meeting Tourism Challenges.' This one-day event, staged a cooperation with the PATA Malaysia Chapter, includes an impressive combination of local and international speakers. 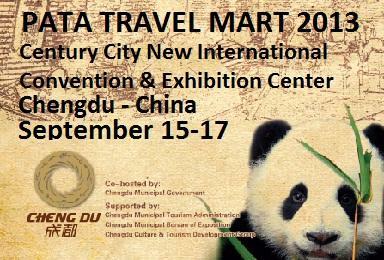 Welcome to PATA Travel Mart 2009! As highlighted in recent News@PATA editions, PATA will be hosting an upcoming industry event in China. The PATA Tourism Strategy Forum 2008 will focus on discussion and presentation of best practice in research and its application in the development and execution of tourism strategy. Over two days delegates will have the opportunity to attend five informative and interactive workshops and also network with industry colleagues. The goal of the forum is to create greater awareness and understanding among senior-level researchers and planners in the travel and tourism industry about the links between research and strategy. The forum will be held in Kunming, China (PRC), on 30 October-1 November 2008. Target delegate audience are mid-to-senior level research, marketing and planning professionals from national, state/provincial and regional tourism boards, airlines, hotels, airports and major tour operators. PATA is not charging delegate fees, we have negotiated discounted accommodation rates and we will be covering most delegate meals. Prospective delegates will be required to cover their own airfares. Space is limited and registrations close September 26th. Log on to www.PATA.org/forum for full programme details and registration information. Visit the PATA Japan Chapter blog to see comments and photos! 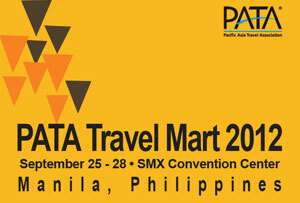 As Asia Pacific travel and tourism grows, so does PATA Travel Mart! The PATA Japan Chapter held its 2005 AGM on Wednesday 23rd, June at the Hotel New Otani Tokyo, a PATA Japan Chapter member. The AGM was well attended, with over 54 Chapter members and representatives present. The event began with a meeting of the Board of Directors, and was followed by the AGM proper, providing a run down of events from the past year, as well as proposals and ideas for the coming year. The PATA Japan Chapter was also delighted to have the opportunity to welcome two important guests from Ministry of Land, Infrastructure and Transport (MLIT). Mr. Naoki Fujii, Senior Director of International Tourism Promotion Division of MLIT made a speech how best the government could promote the tourism in working together with PATA. Mr. Fujii attended the PATA Macau Conference with Mr. Hayao Hora, Vice Minister for International Affairs of MLIT to experience PATA's biggest event through the year. Mr. Nobutaka Ishikure, Chairman of PATA Japan Chapter (and PATA Headquarters) commented that both of Messrs. Hora and Fujii could be convinced of PATA's value and as a result the Japan Government is seeking the way to be involved in PATA more and more in liaison with “Visit Japan Campaign”. The AGM was followed by an informal reception with the pleasure of welcoming Mr. Makoto Washizu, Deputy Vice Minister for Tourism Policy of the Ministry of Land, Infrastructure and Transport. 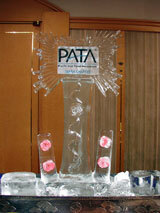 At the reception, a special ice carving containing the PATA Japan Chapter Logo was displayed and all the participants were requested to gather to take a memorial photograph, which could be a symbol of the strong unity. The 54th PATA Annual Conference, under the theme of “Connecting Tourism's Stakeholders”, will be held from April 17th to 21st, 2005 in Macau. The Macau Government Tourist Office has made a presentation to PATA Hong Kong Chapter members inviting them to see Macau and to hear about its recent developments. Macau and neighbouring Hong Kong will be cooperating to provide pre- and post-Conference tours to 2005 PAC participants. 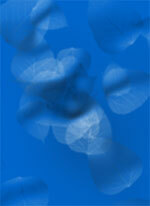 The PATA Japan Chapter Annual Conference will be held on May 18, 2004, from 4pm at the New Takanawa Prince Hotel. The 53rd PATA Annual Conference will take place April 18-24 at the International Convention Center Jeju, Jeju Island, Korea. The PATA Annual Conference has always been the leading annual convention of top-level international travel and tourism decision-makers, and the 53rd event will continue this tradition, offering opportunities to network and learn more about the dynamic travel industry. The theme for this year's conference is Tourism is Everybody's Business, something that has become all the more evident during the difficult times that the travel industry has recently had to face. The conference program will address the reasons why everybody has a stake in tourism, no matter what their goals are. The 52nd PATA Annual Conference, held last year in Bali, enjoyed an incredible turnout considering the multiple crises that befell the travel industry in the six months leading up to the conference. As business climbs back to normal levels, the 53rd conference will provide the perfect opportunity to reflect on the challenging lessons the industry has had to learn over the past two years and cast them into strategies and plans for the future. Who attends the PATA Annual Conference? Why attend the PATA Annual Conference? Executive Officer, Japan Airlines Co., Ltd. The PATA Japan Chapter held its first event of the New Year at the Hotel Grand Palace, a PATA Japan Chapter member, in Tokyo on Thursday, January 22nd. The event began with a meeting of the Board of Directors, and was followed by a presentation on general Japanese Government tourism policy, focusing on the Visit Japan Campaign and ways to make Japan a top destination for overseas tourists, by Mr. Satoru Kanazawa, Director General of the Tourism Department, Policy Bureau Ministry of Land, Infrastructure and Transport. Mr. Kanazawa's presentation was very well received, and provided much food for thought and inspiration for participants. Following Mr. Kanazawas presentation, Mr. Hee Soo Shin, Executive Director of the Tokyo Office of the Korea National Tourism Organization, made a presentation about the upcoming 2004 PATA Annual Conference and Korea Chapter Annual General Meeting in Jeju Island, also outlining the venue islands principal attractions and sights. This was the first function organized jointly by the Japan and Korea PATA Chapters, and Mr. Nobutaka Ishikure, Chairman of the PATA Japan Chapter, commented that we wish to expand on the success of this event, being involved in further activities with other neighbouring Chapters, such as the PATA China Chapter. The day's programme ended with an informal reception, which provided great networking opportunities for members and non-members alike. 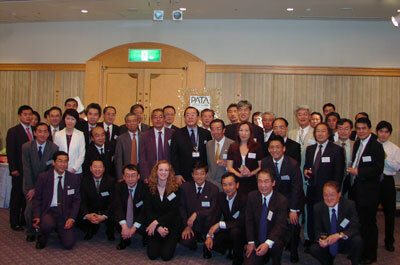 The first PATA Japan Chapter event of 2004 was attended by over 80 people, both PATA members and non-members. It is hoped that the event will encourage new members to join as they see what a fun and friendly chapter we are!